South Sudan should be a country full of hope since gaining its independence five years ago. Instead, the oil-rich country is in the grip of a massive, man-made humanitarian crisis. Due to unresolved issues regarding border conflict, resources, and the role of religion, the North continues relentless acts of genocide against the South, trying to gain control. The atrocity has reached unprecedented levels with nearly 6 million people on the brink of starvation. Thousands are at extreme risk for infections and waterborne diseases due to malnutrition, contaminated water, and weakened immune systems. Read about how we have been supporting the people of Sudan since 1998. Just about every day, the Sudanese government drops bombs or shells on civilians in the Nuba Mountains. As a result of this intense violence in South Sudan, most aid organizations have fled the country, making access to quality healthcare services and food nearly impossible. This has left the Sudan Relief Fund as one of the only groups left providing lifesaving aid. Currently, Mother of Mercy Hospital, located in the Nuba Mountains, is the only trauma center in a 300-mile radius, serving more than half a million people. 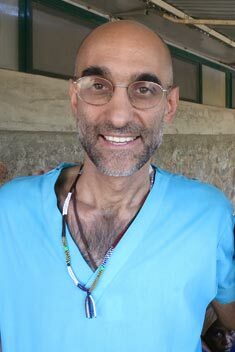 Dr. Tom Catena, an American missionary, is the only doctor permanently based at Mother of Mercy Hospital to treat the sick in the region. Due to lack of electricity, running water, medicine, and basic supplies, he sometimes has to resort to decades-old treatments. I personally have had the opportunity to meet this remarkable man, who seems to work miracles with very limited resources. He tells me he is driven by his faith, and civilians pray daily for his safety. A local village chief, Hussein Nalukuri Cuppi, was so moved by his efforts that he called Dr. Tom “Jesus Christ” because of the way he heals the sick, makes the blind see and helps the lame walk, every day. His compassion, kindness, and commitment to save lives is truly a gift from God. With a recent increase in the number of displaced persons desperate for help, his needs have greatly increased. Thankfully, a generous individual has donated much needed medicine and medical supplies to Sudan Relief Fund, which will give Dr. Tom the lifesaving support he so desperately requires to care for his patients. However, we need your help to ship it. Transporting these medical supplies into the country is extremely dangerous and difficult due to the fighting, bombings, border issues, and weather conditions. I kindly ask for your urgent donations to help us ship this medicine and medical supplies that was already donated for the people in need. Any gift you are able to give is deeply appreciated. Please help save the children. For over six years, Dr. Tom has labored day and night to help heal the sick and wounded victims of jihadist war. Some days he is treating up to 400 inpatients in one day. 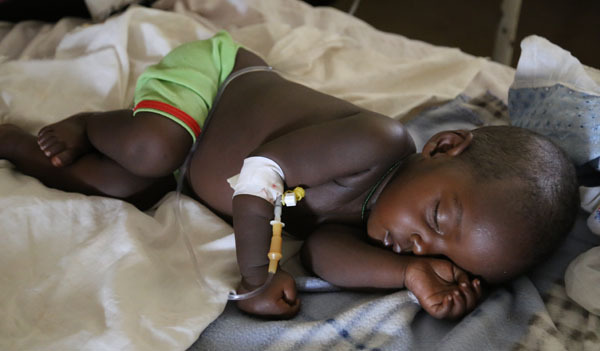 Dr. Tom and his staff work tirelessly through hardships to help those with injuries from bombing attacks and ailments, varying from bone fractures to malnourishment and malaria. Without the proper medicine and supplies, Mother of Mercy Hospital will not be able to give the people of South Sudan proper care and innocent lives will be lost. With your generous donations today, we can continue to give the people of South Sudan hope! I am pleading for you to send a gift, so the Sudan Relief Fund can immediately transport these medical supplies. Dr. Tom and the staff at Mother of Mercy Hospital are extremely grateful for your generosity, support, and prayers. With compassionate donors, like you, for the first time since founding Mother of Mercy Hospital, Dr. Tom has finally been provided with an X-ray machine! 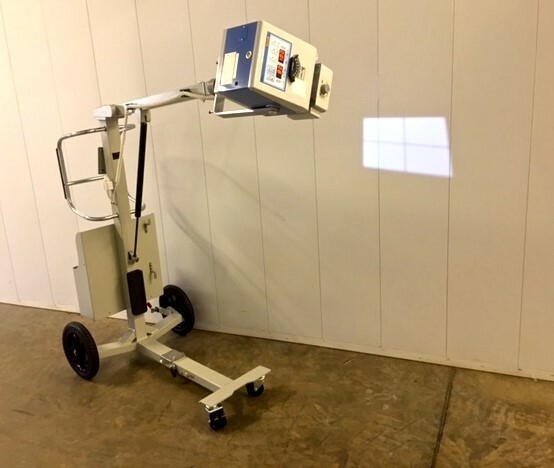 It’s been three years in the making, but thanks to the generosity of our supporters, Sudan Relief Fund has been able to purchase and ship the X-ray machine and fill one of the hospital’s greatest needs to enhance its diagnostic and treatment capabilities. Your generosity means the more than 150,000 people the hospital cares for every year will have access to radiology services. Time is extremely urgent. I hope you can send an immediate contribution as your financial support enables us to remain in South Sudan to bring help, hope and Christ’s love. Although progress is being made, the struggle to provide medical treatment is ongoing. Sudan Relief Fund needs your immediate help to transport medicine and emergency supplies. If you would like to encourage and support Dr. Tom’s work, as well as help to continue our other lifesaving work in South Sudan, please consider becoming a monthly sustaining partner. When you donate monthly, you provide a safety net of giving to help such amazing ministries as Mother of Mercy Hospital and Dr. Tom efforts. Every dollar makes a difference! I ask that you please pray for this suffering young nation and help share the message with others. May God bless you for your charity and love for Christ’s children in South Sudan! p.s. Your donation today can help save the life of a child, please donate today.